If you want to have peace of mind knowing that any electrical work needed at your Natick, Massachusetts, home will be done right the first time, put your trust in the electrician that has been providing exceptional service for more than a decade: VMA Electric. Our company was founded on the premise that our customers deserve a high level of service and should never be left to deal with problems that can arise from shoddy work. 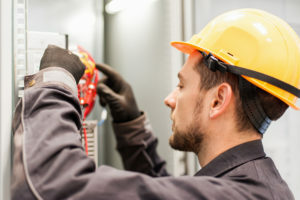 To help ensure that our work is always top-notch, we employ expertly trained electricians who average more than a decade of experience and stay up to speed on the latest industry advancements and best practices. Additionally, our owner – Victor Archila – is personally involved in every project to make sure our work meets the high standards our customers demand. We can also have an electrician at your home in a timely manner if you experience an electrical emergency, such as a sparking wire or an overheating outlet, and we back our work with a one-year guarantee to provide you with additional peace of mind. Put your trust in the electrician that Natick, MA, homeowners count on to deliver exceptional service – VMA Electric. Contact us today to schedule a consultation.